Why do I need to know if my liver is healthy? If you have had hep C for a while, your liver could be damaged. If your liver is damaged, it can stop working properly and this can make you sick. What is a liver check? A liver check is usually done with blood tests and a fibroscan. A fibroscan is like an ultrasound, it doesnâ&#x20AC;&#x2122;t hurt. These tests will show your doctor or nurse how healthy your liver is. They will also tell the doctor or nurse how much damage there is. I don’t feel sick, why should I get a liver check? You might have hep C for years and never feel sick. This doesn’t always mean that your liver is healthy. If you get a liver check every 6 months, you can see if your liver is staying healthy. What if my liver isn’t healthy? If your liver isn’t healthy, you might think about starting treatment. Treatments are usually quicker and cure more people than they used to. They will be even better in a few years. Speak to your nurse, doctor or clinic about your options. What if I don’t want treatment now? You might not be ready, that’s ok. If you aren’t ready for treatment, think about making changes to your diet, exercise and drug and alcohol use. 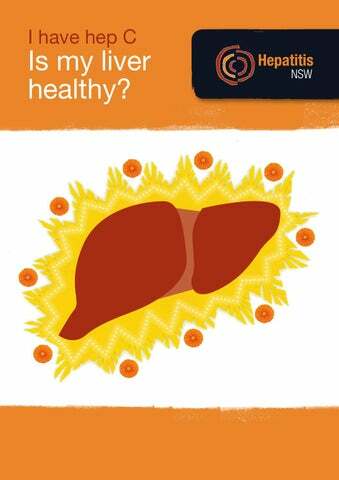 To talk about making healthy changes for your liver call the Hepatitis Infoline on 1800 803 990. This call is confidential. 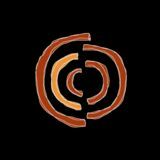 Hepatitis NSW is proud to acknowledge Aboriginal people as the traditional owners and custodians of our lands and waters. I have hep C: Is my liver healthy?